Are you looking for a car that fits everywhere you need to go but has four doors for your family to fit inside? If so, you should consider the small size of the Fiat 500L that’s a hatchback you’re sure to want to enjoy when you head out on the roads for the drive. This is a hatchback model that offers you an excellent lease price and an easy driving personality in Sunrise, FL to make it possible for you to have the drive you want to enjoy. When you’re ready to consider the drive of the Fiat 500L that you want to lease and enjoy out on the roads in Sunrise, FL, you’ll need to see the team at Massey Yardley Chrysler Dodge Jeep Ram Fiat in Plantation, FL. When you arrive, pop the hood on any of the models on the lot and check out the 1.4-liter turbocharged four-cylinder engine that provides you with 160 horsepower and 184 lb.-ft. of torque. This engine makes use of a six-speed automatic transmission to allow you to have as much as 30 mpg on the highway when you drive this impressive car. With three trims that you can choose from and the low price you’re sure to enjoy, the Fiat 500L is a car that you’ll want to lease and enjoy on the roads in Sunrise, FL. The base trim is Pop and it offers you air conditioning, 16-inch alloy wheels, a tilt/telescoping steering column, cruise control, a Uconnect infotainment system, a five-inch touchscreen, Bluetooth connectivity, a text-message reader, a six-speaker audio system, and USB and auxiliary inputs. The Trekking trim gives you 17-inch wheels, a two-tone interior, heated front seats, leather upholstery, and a Beats audio system, while the Lounge model adds chrome mirror caps, a 115-volt power outlet, a rearview camera, and rear parking sensors. There are options you can have for all of the trim levels of this car. The Pop version can be enjoyed with the Beats audio system, while the Pop and Trekking models can have the benefit of the Popular Equipment Package which adds a driver’s side power lumbar support, dual-zone automatic climate controls, XM satellite radio, a rearview camera, and rear parking sensors. Choose the Fiat 500L as the model you want to lease and enjoy in Sunrise, FL and add the items that will make it the car you’ll love to drive. If you’re ready to drive a small vehicle that has the ability to show off with big style and personality, the Fiat 500L is the right model for you to lease and enjoy for the drive on the roads in Sunrise, FL. 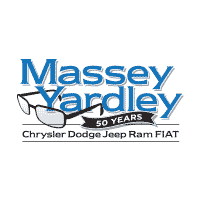 Make your way to the dealership of Massey Yardley Chrysler Dodge Jeep Ram Fiat in Plantation, FL and let this be the place you find the hatchback that’s right for you. This team can make driving fun for you with this little four-door model that has everything you’re looking for.